How to have someone to look after your dog from your home? Among the different ways of having your dog taken care of, dog owners choose can take their pup to a pet sitter’s home or kennels. However, there also is the option to have someone look after your dog at your home during your holidays. Even if this kind of care isn’t very commonly used for dogs, it is a perfect choose for those who get lonely, don’t like being left on their own and those who get disorientated and don’t like changing their habits. By opting for a day care from my home, the pet sitter commits to stay overnight throughout the whole lapse of time. This way, your furry friend can have someone around day and night. You must be wary that the carer will settle down in your home while you are away. It is essential to organize his or her arrival so that everything goes smoothly. Even if the dog sitter is coming onto your home, it is important to set down your house rules. Why opt for sitting from my home? All our four legged friends have different needs depending on their behavior and their education. Even though pet sitting from a dog carer’s home is very popular, this second option can be very useful and more adapted for some dogs. If your dog is old or if he doesn’t like changing his habits, it may be judicious to opt for a care from your home to keep the same routine. Which dog sitter should I chose to stay overnight in my home? 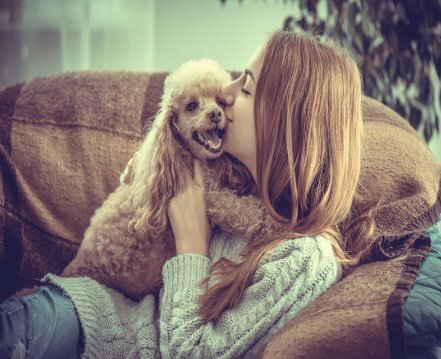 Having someone look after your pet from home can raise some un expected issues concerning your home rules while you are away : can I ask the pet sitter to do other chores than look after my dog? Can he do some clearing up as he is staying in my home? All these issues are legitimate. Please note that you can ask the pet sitter to undergo these household chores as long as he or she agrees. What sort of budget should I expect for someone dog sitting from my home? Like for all services, it is important to know the price for from at home care in order to establish a budget before hand, so that your dog shall be looked after in the best conditions possible. The price is close to a normal pet sitting option, but may vary depending on what needs you actually have.